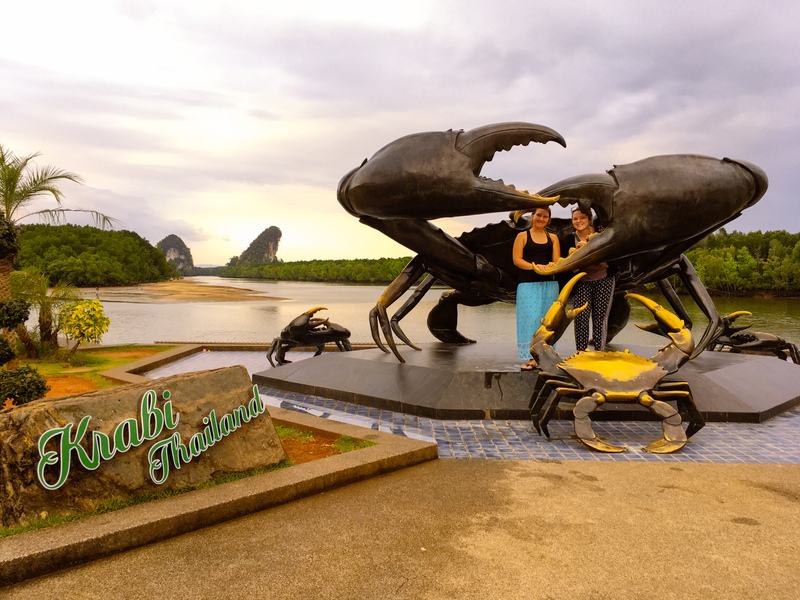 After meeting one of my closest friends in Singapore, we had a brief stop over in an AirB&B not too far from Singapore airport before flying to Krabi in Thailand the next morning. After a very overly friendly taxi ride to the airport with a guy called “Harry Potter”, who gave us his “business card”, and said he has great contacts in Fiji if we go back… we eagerly awaited our flight. It was really nice seeing a friend whilst traveling as just the two of us can get a little tiresome. 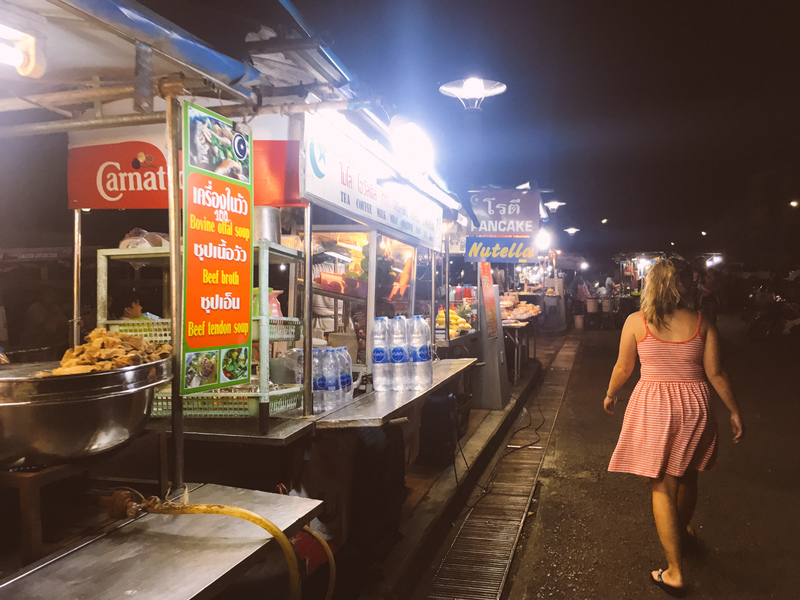 We landed in Krabi and stayed in a really nice budget hotel, the first night we went for drinks in a local bar and soaked up the Thai culture whilst walking down the riverbank and seeing the local night markets. The next day we caught a boat from the pier to Railay beach a beautiful picturesque beach; we went swimming in the crystal clear waters, ate really good food, snuck into a hotel swimming pool and just had a brilliant day before heading back to the mainland. The way back was interesting because the guy we originally booked the boat with swapped us for another boat with a guy who looked like he should belong in Pirates of the Caribbean. After about 1/4 of the way in the boat broke down so we had to abandon ship onto another vessel which was already pretty full. Eventually we got to shore and our pirate friend managed to get his boat fixed and triumphantly sped past us in a blaze of glory, it was a rather epic moment. 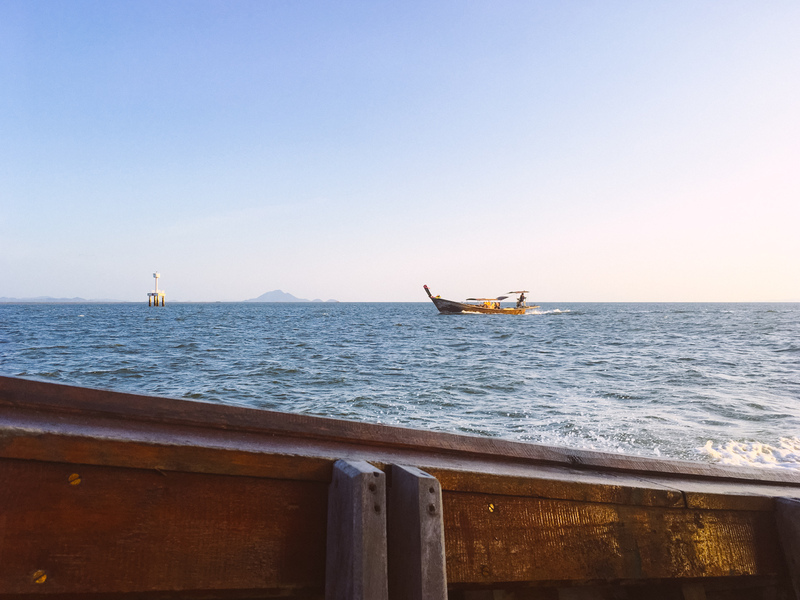 The next morning we headed to our first Thai island: Koh Lanta. 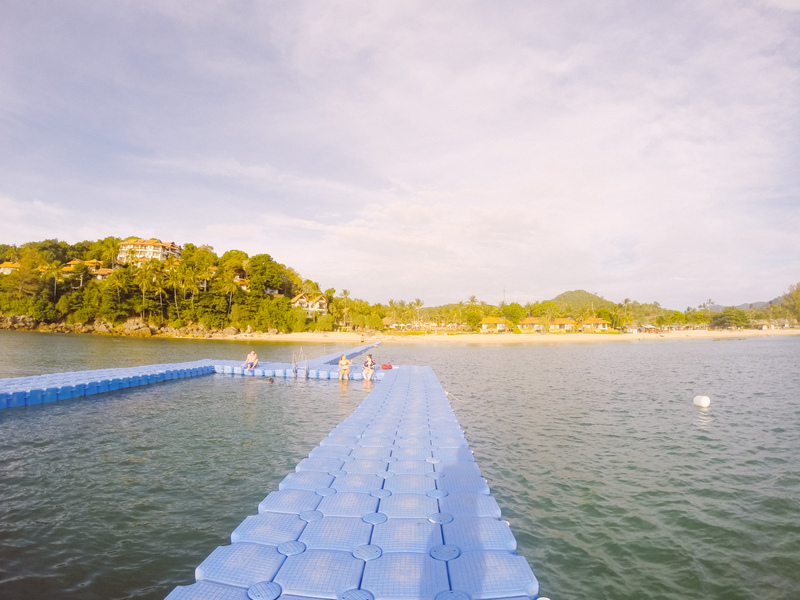 This was such a nice island and we were fortunate enough to have a floating pier pool, which Alex and Catrin loved and we spent most of the afternoon there jumping off and doing back flips. We spent the evening drinking cocktails and watching the sun go down. It was pure bliss. From here we headed west to the famous island of Koh Phi Phi, this was without a doubt a party island, there were fire shows on the beach, so much alcohol and ample of bars and clubs. The beaches here were beautiful, we spent a day on Long Beach which again had a crystal clear ocean and you could swim amongst the tropical fish. Alex saw a sea snake and decided to follow it in the sea before it felt threatened and decided to rear its head up – he said it was super scary! 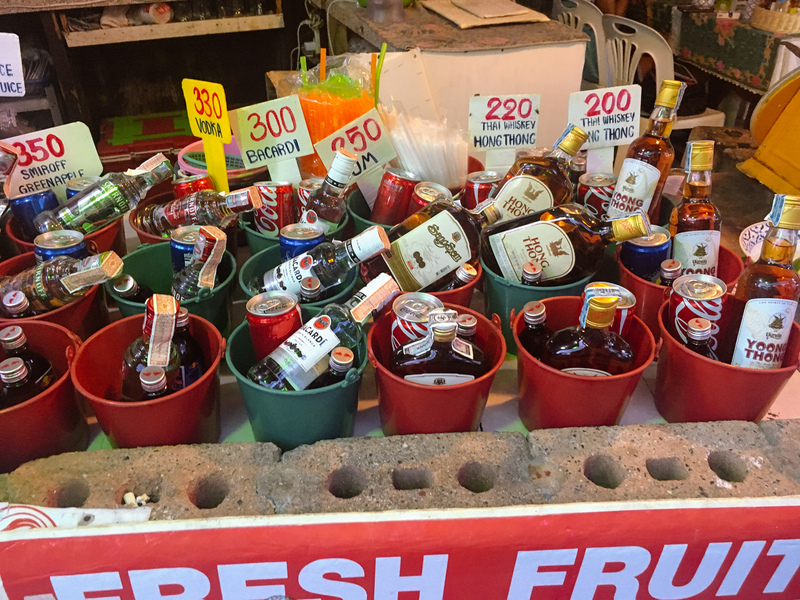 We enjoyed a few buckets of daiquiri and saw a “traditional” Thai kick boxing match which was rather funny but mostly because tourists could get involved too. 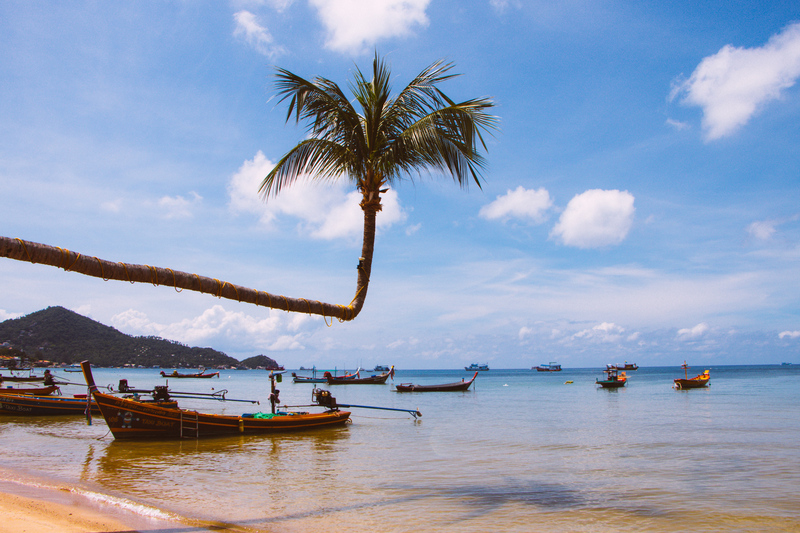 We had a long journey to Koh Tao next, this was probably my favourite island and slightly higher up the country and on the eastern side of the peninsula. There were great restaurants here which were super cheap which is a bingo bonus. We spent several days here. 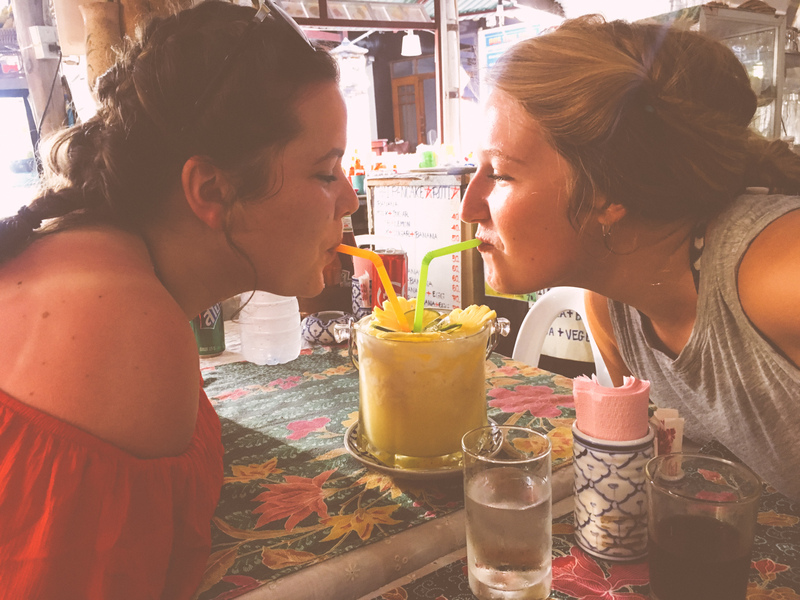 On the first day we accidentally hitched a ride to a beautiful duo of islands named Koh Nang Yuan that had a beach in between. It was a really nice area and mostly because the islands are under conservation, so no plastic was allowed there and you couldn’t put towels on the sand due to a lot of the sand being trapped in the towels. There was the most amazing snorkelling with beautiful clear waters, we spent most of the day in the sea. We also hiked up to the top of one of the islands, there was great view from the top, you could see the shapes of the corals in the oceans and lots of different shades of blue. 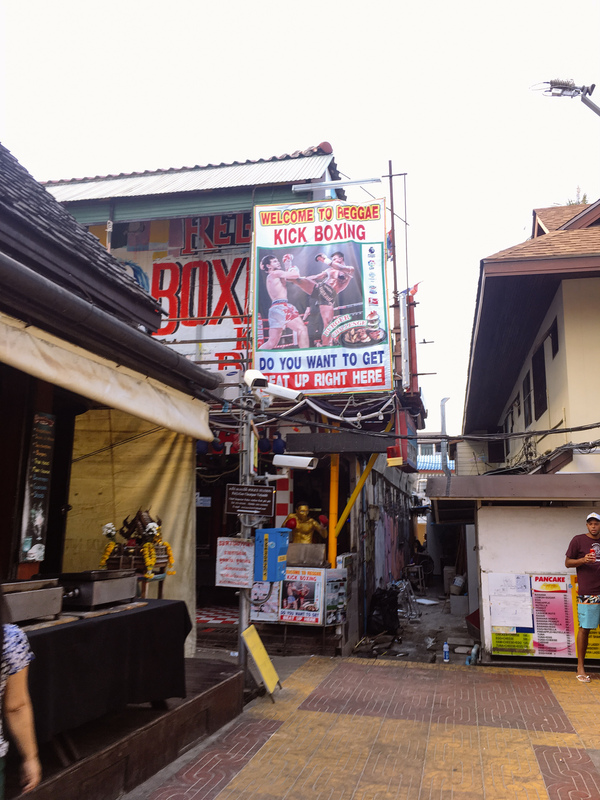 We had our first Thai massage in a spa just down the road from our hotel, my first ever spa treatment: it was interesting. Alex had a lady who giggled throughout his (probably because she fancied him) so he didn’t really relax at all! It was funny to watch. We saw a lady boy show, this just upset me because most of the lady boys were more attractive than I was and were far better at make up. 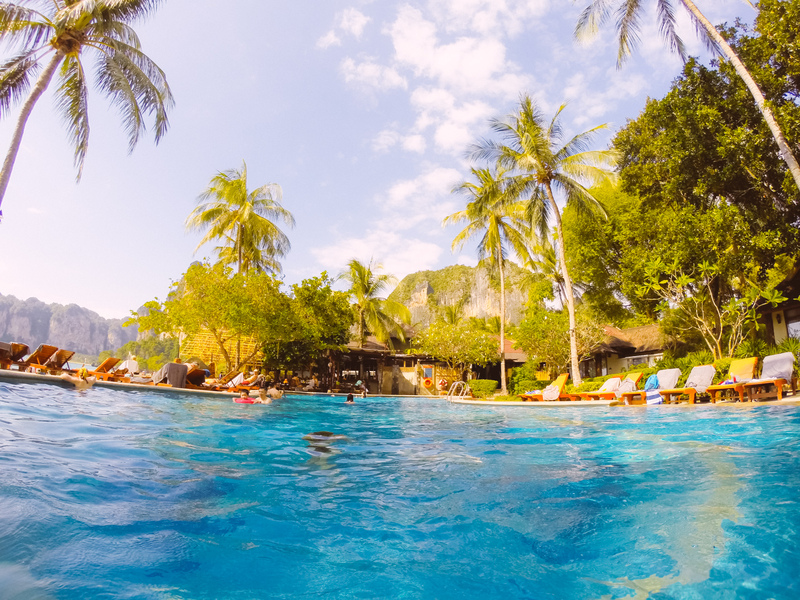 On our last day on Koh Tao we hired mopeds and just drove around the island. This was a pleasant day, although I wasn’t too comfortable while going down the steepest of hills (possibly the steepest one in the whole world) but Alex managed it just fine and so did Catrin. From Koh Tao we headed to Bangkok.